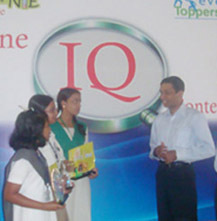 Mr. Ar Rm Arun, Chairman, Valingro was invited by The Hindu Newspaper in Education (NIE) initiative to be the Chief Guest at a grand prize distribution function held at National Public School Auditorium, Gopalapuram, Chennai on Dec 10, 2009. Speaking at the function, Mr. Arun addressed various issues of interest to the children. Introducing himself, he talked about semiconductors and how they have been useful in the every walk of life. He impressed upon the audience the role of technology and how it has been instrumental in changing the way we live. He also pointed out that while technology certainly many positives, there are some negatives resulting in lifestyles changes & drop in social interaction. 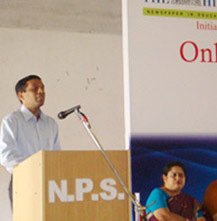 Guiding the students to prepare for a changing scenario, he presented 3 pillars that could help them build themselves into better & successful individuals. Firstly, he drew their attention to the Importance of Education. He spoke about the need to give the best to education so that each one can develop & built competence. 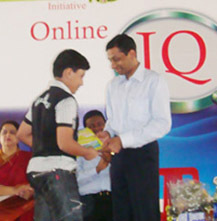 He reminded the students that while studying, they should not just memorize, get the desired marks and forget it. But instead try to understand what they are studying as it will certainly come into assistance some day. He encouraged them to go after higher degrees to gain as much expertise since it plays a primary role in being prepared for a changing future. Secondly he presented the importance of extracurricular activities. He said that while studying assists to a majority extent, need sports & arts to enhance your preparation for the future. 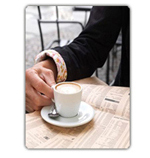 Sports, arts & reading gives an extra edge in the pursuit of a successful future. Lastly, he spoke about the Importance of Values. He illustrated how Moral Values make us better human beings and gave examples of practicing values such as Increasing concern for others & being more patient & tolerant of others. He also reminded the students of the rich Indian culture – respect for elders, Family bindings and said that values make one strong, successful & most importantly a happy person. The other dignitaries who spoke during this prize distribution include - Mr. N. Krishnan, Regional General Manager – Circulation, The Hindu & Mr. Balaji Uppili, Head, Operations & Strategy Practice (RHMLCGEU), Cognizant. 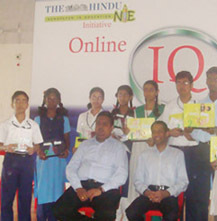 The Hindu Newspaper in Education (NIE) Programme is a Corporate Social Responsibility Initiative targets students from Class 6 to 10 in over 300 schools in Chennai. 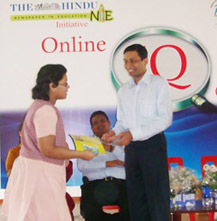 As part of the NIE program, The Hindu organized an "Online IQ Contest" targetting students from class 6 to 12. This contest was organized during November coinciding children's day celebrations and over 5000 students from nearly 200 schools participated in this online intiative.